Mothers Day is a simple day for my family. after all that is what made me a mother. I do get to sleep in while the family prepares a special breakfast! I don't even ask for a gift...sleeping in is a gift in itself. 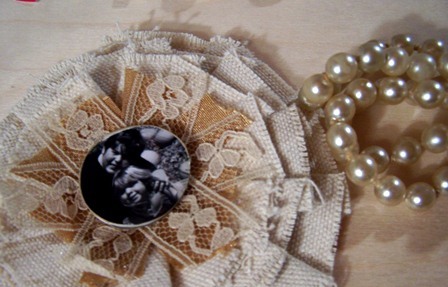 I was feeling nostalgic and like I needed a few more mementos to commemorate and celebrate my own motherhood...and hopefully I have created a little something that you to can make to show your mom (or any mom) how much you love her! Don't miss the super easy, super amazing recipe...click on READ MORE! Photo (printed to the appropriate size) - I used a left over holiday card photo. 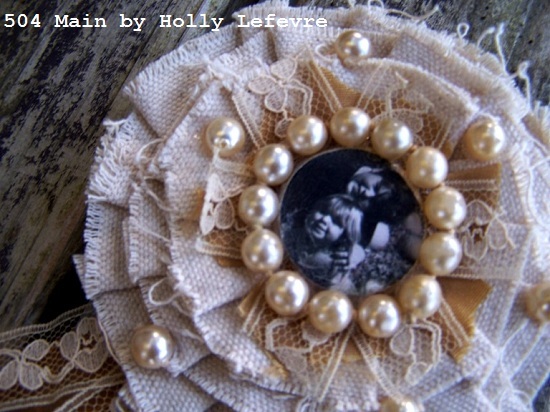 Be creative - if your mom is more sparkle than pearls, use some jewels...buttons are super cute too. I raided my craft stash to create this...I bet you have something you can use already! 1. 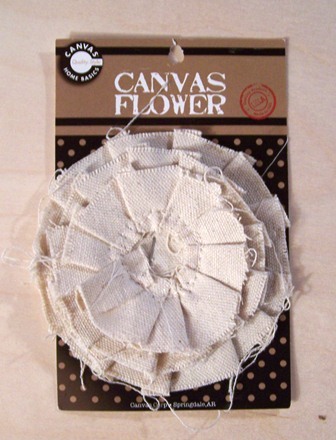 I started with a Canvas Corp Fabric Flower - it is already made...so that is super easy, your base is done! 2. Center: Determine what you are using for the center (see the supplies for some ideas). I used a flat (cheap) button about 1" in diameter. 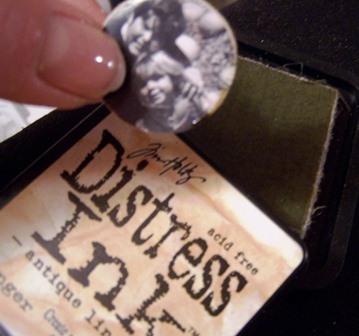 Cut the photo to size so that it fits the button; apply a layer of decoupage to the button; place photo on button; apply 2-3 more thin layers of decoupage...let dry. 3. Once dry you may need to trim the photo or use a small piece of sand paper and lightly sanded the edges, then rubbed some Distress Ink on the edges. 4. 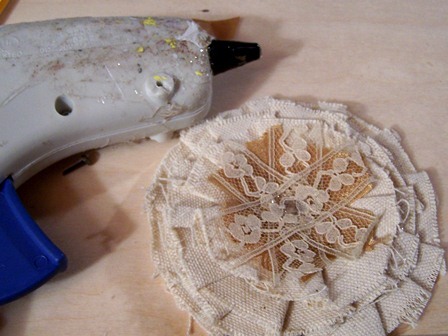 Cut the ribbon and seam tape into about 2" strips; lay them in the center of the flower in a "asterisk" design. 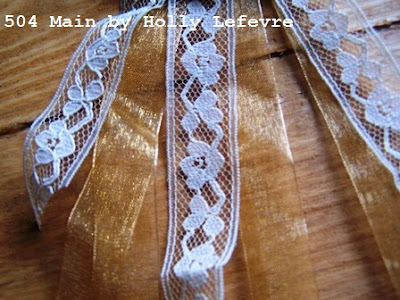 Lay the ribbon down first, then fill in space with the lace seam tape. 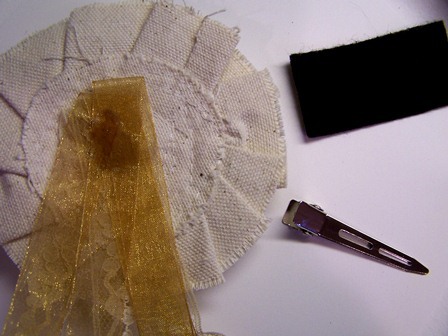 Finally, hot glue the ribbon down - it is pretty easy to pick up one piece of ribbon at a time and glue it down. 5. 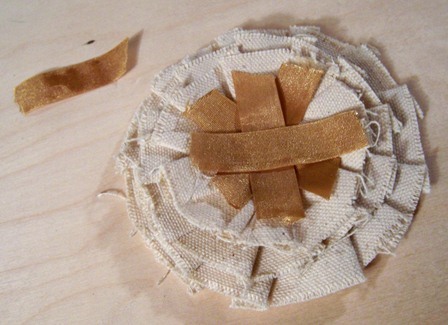 Glue the center (photo) onto the fabric flower, on top of the now glued ribbon. 6. Start Embellishing! Run a thin line of hot glue around the button and lay the pearls down all around the button edge, then separate some pearls and glue them randomly all over the flower. 7. For the back, flip over the flower and use the same organza ribbon and seam tape and using 14" length, fold them in half, layering the two types of "ribbon." Once satisfied with the look, hot glue them down on (approximately) the center back of the flower; trim edges at an angle. Of course you can leave this ribbon detail off if you want it simpler. 8. 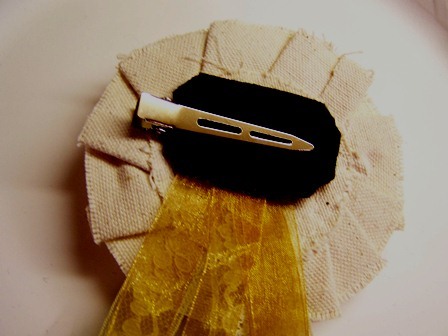 Cut a small piece of fabric or felt, long enough to cover your clip and the area you just glued the ribbon to; determine placement for the clip and run a line of hot glue; glue clip into place; run hot glue around edges of the felt and with the clip open, place the felt down, covering the bottom (attached) portion of the clip. 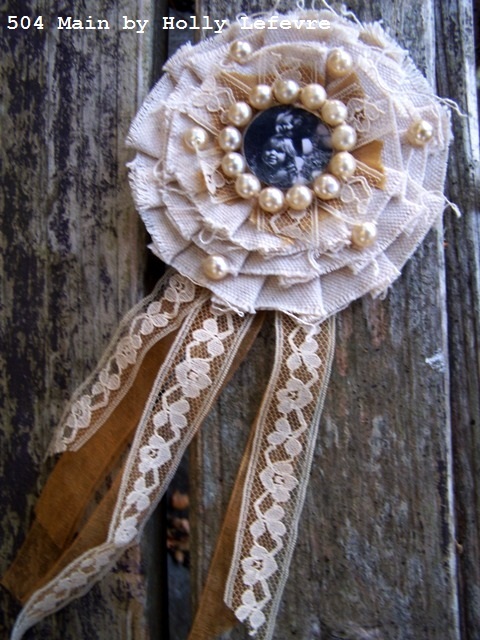 There you have it - an heirloom worthy vintage inspired Mother's Day corsage. 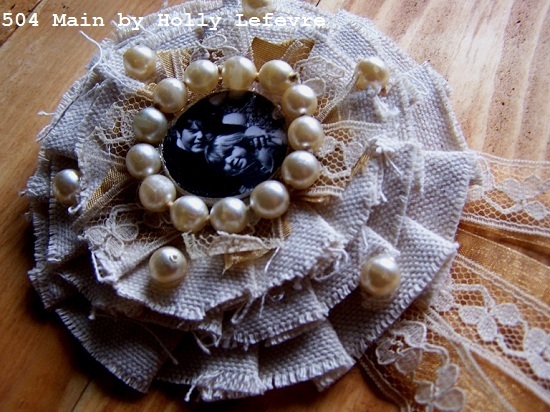 This also look really sweet attached to a necklace or a purse. celebrate the joy of being a mom! Clever girl...the best things come from your heart! These would be so great to give out to special moms in our lives. Will your be attached to your pajama top? ;) Hope so. Gorgeous! Your Mother's Day sounds perfect. This is so very sweet! I love it! Thanks for sharing. Happy Mother's Day to you! 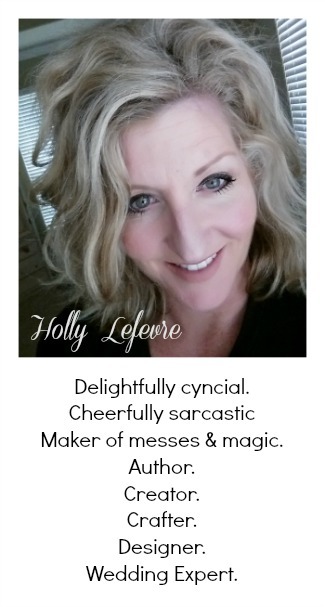 So cute, Holly! 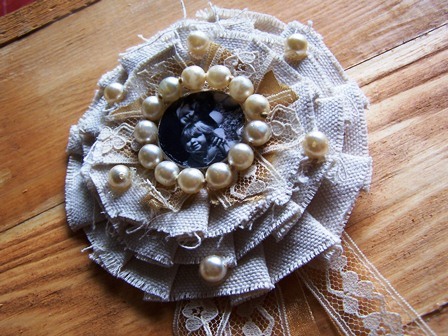 I love the idea of the vintage photo in the center! Have You Ever Tried a Detox? I did!